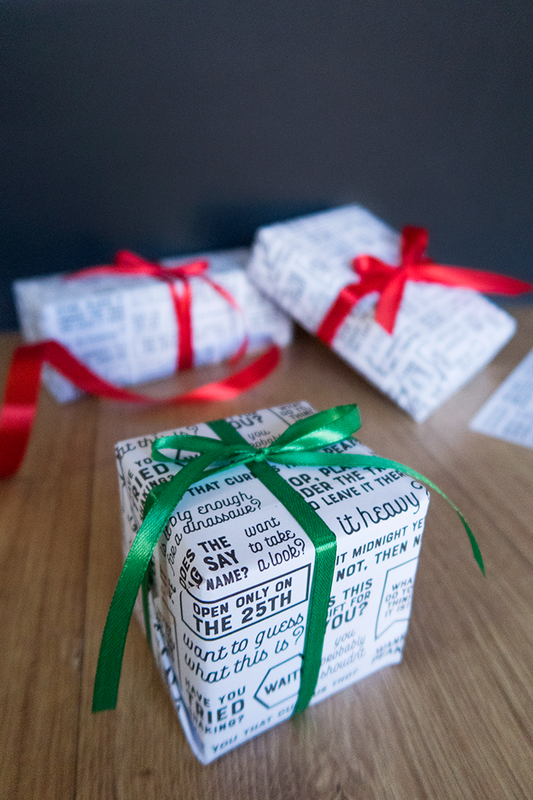 Hi everyone, I've made several types of printables here on the blog, including Christmas Tags and a cute Printable Santa to hang on the tree, but somehow I haven't made a wrapping paper yet, even though I love wrapping presents. 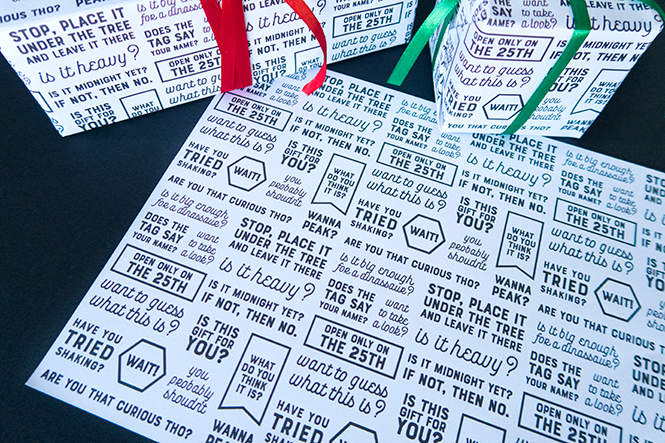 That's why I decided to create this one, filled with fun phrases, and motivating quotes to make sure that sneaky hands don't touch the presents until the 25th. 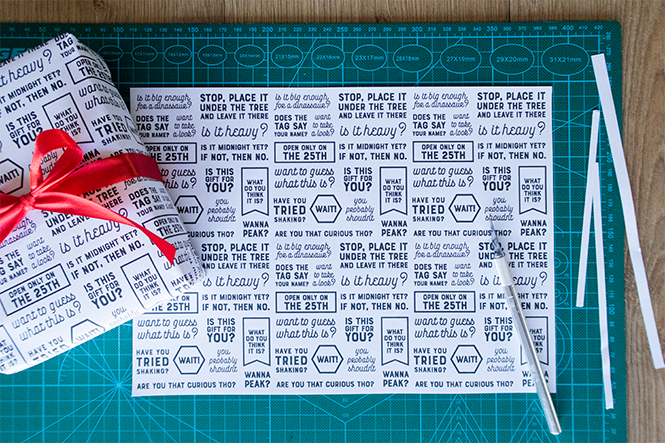 The files are available in A4 and A3 so you can choose the size that fits your printer. 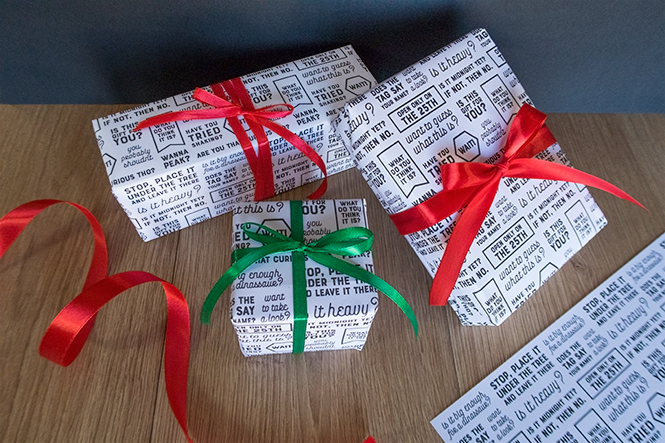 To make it big enough to wrap my gifts I trim the excess paper from the sides and just tape 2 or 3 sheets of paper together from the inside, so the tape doesn't show. 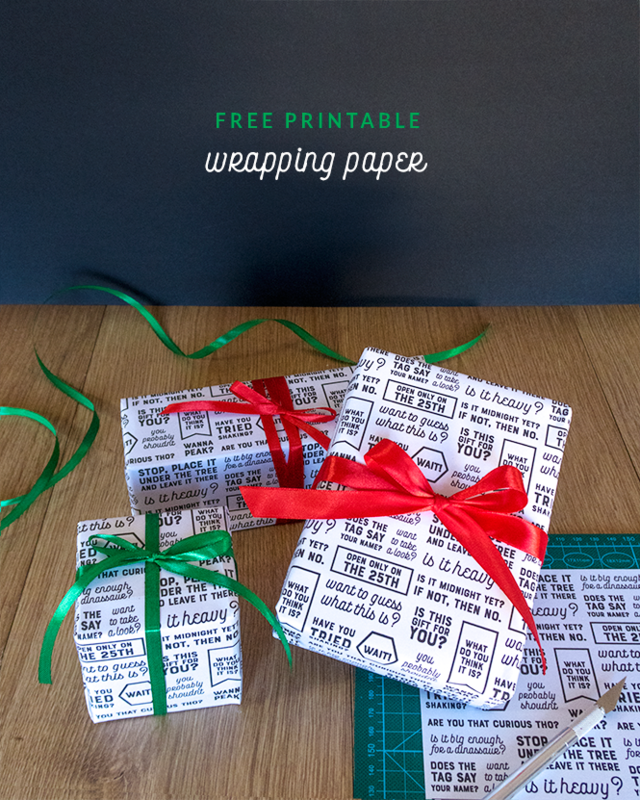 To download this fun and free Christmas wrapping paper click the button at the end of the post. You are allowed to use these files for personal use only. The files can not be resold, redistributed on its own, or sold as part of a product. Let me know if you enjoy this freebie.